With Spring finally arriving, I know a lot of you are probably beginning to start your outdoor cleanup and maintenance. One thing to consider is where your trash bins are parked. Are they visible from the road or by your neighbors. Maybe you would like to come up with a good way to hide them. If so, these 10 ideas may point you in the right direction for an attractive and easy result. 10 Ideas to Hide Those Trash Bins – Surrounds…. This multi home unit has come up with a perfect surround for its occupants. 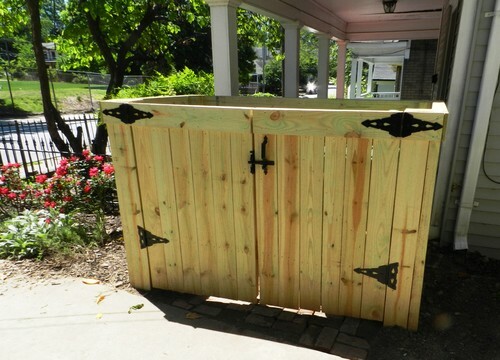 The dividers are made from cedar, which is a good choice for any outdoor structure. Cedar has a natural resistance to rot or insect damage. 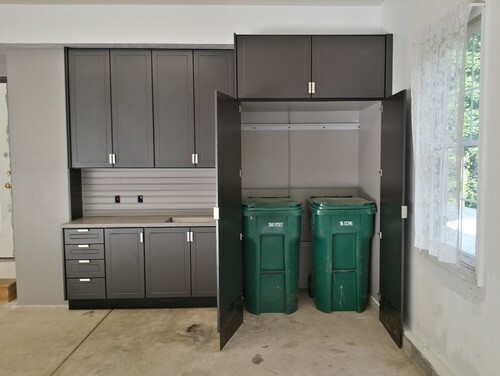 If you are blessed enough to have room in a garage for your trash bins, but you still would prefer them to be out of sight, consider cabinetry. A cabinet can be the perfect location to stash these large but necessary eye sores. Actually, it is more of a surround than a true cabinet, because there is no bottom. Treated lumber is also a great choice for building a simple surround. It is cheaper than cedar and can be stained or painted to match your exterior. 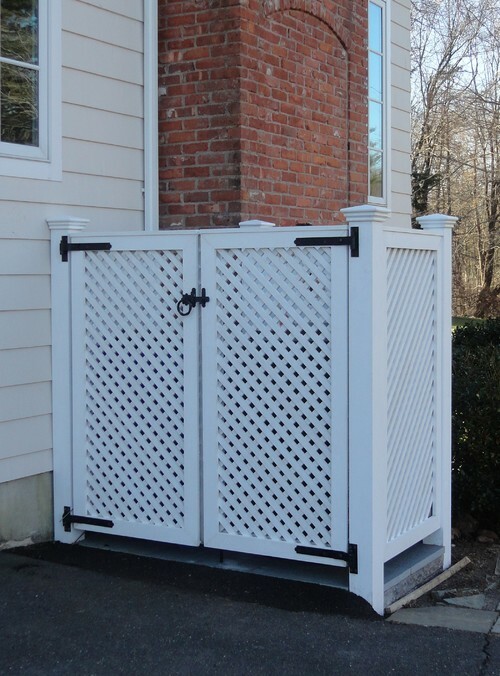 Lattice is a popular material for creating trash bin enclosures. Now, lattice comes in both wood and vinyl sheets. If you go with the vinyl, the maintenance is virtually nothing. 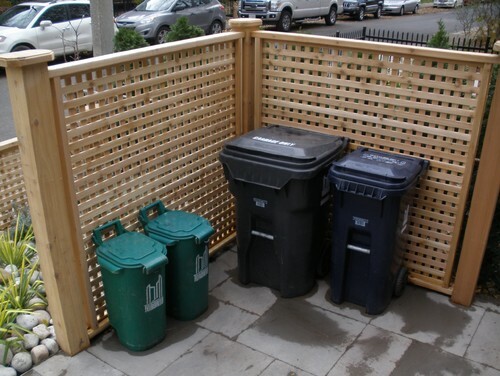 Keep in mind that enclosures for trash bins do not necessarily have to be four sided. If all you desire is to hide them from your neighbors and passers-bye, a simple 90 degree surround can be enough. 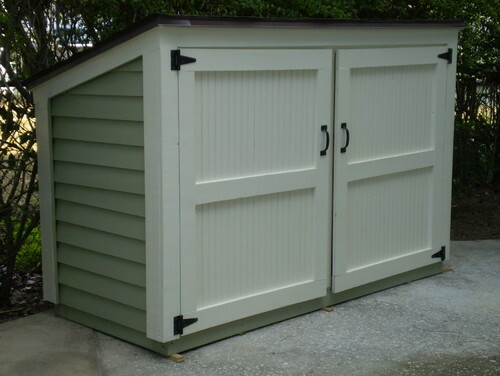 If you have a bit more of a budget, consider a custom storage shed. Having one painted or stained to match the style of the house makes the shed appear to be part of the initial design and not an after-thought. 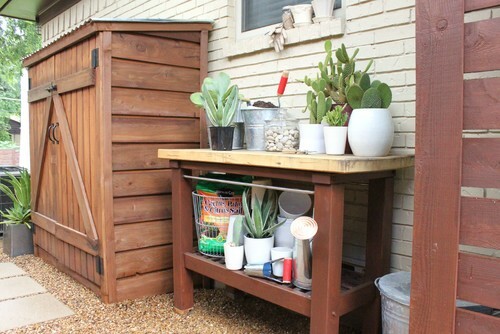 A cedar lean-to can also be a great way to hide those trash bins. In addition, these can double as storage for rakes, hoes, shovels, etc. I have even added shelving at the top of these, and expanded the storage to include pool chemicals. 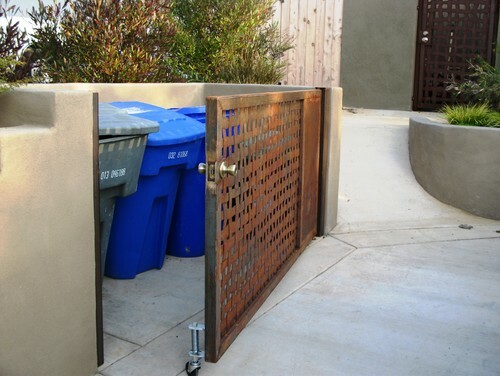 One important thing that you will want to think about when building a hiding spot for your trash bins is how you will access them. In the above image, a large rolling door was added to the front of a stucco surround. 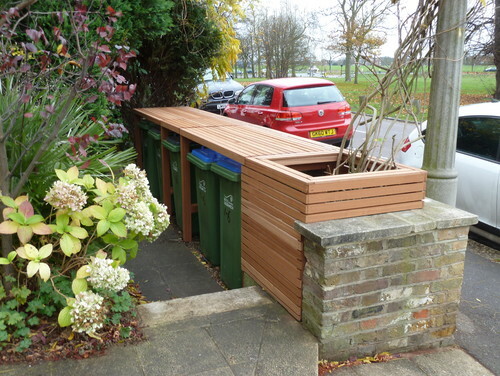 This makes it easy to roll the bins in and out of the space. 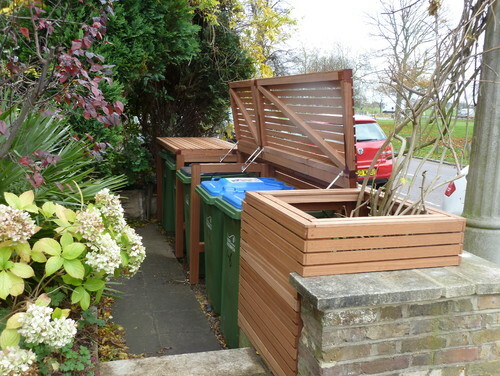 In the above example, the trash bins can be accessed from both sides. 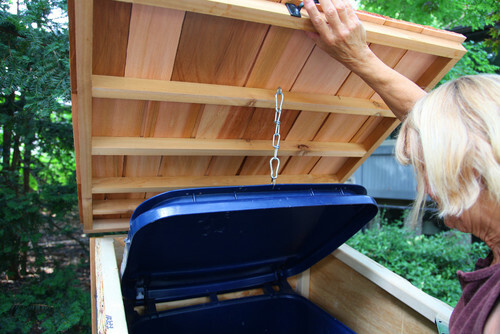 On the interior side, the lids lift for ease of placing trash inside the bin. 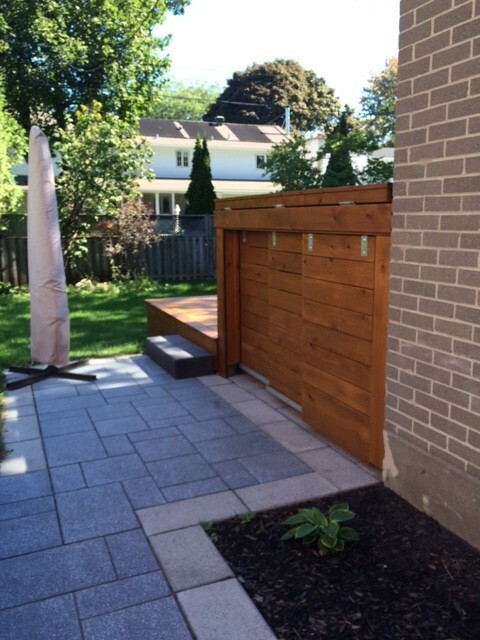 On the exterior side, sliding doors hide the bins while allowing them to be easily removed. Regardless of how you access the cans, just make sure that in addition to being able to roll the cans in and out, you make placing trash inside the bins easy. A simple hook and a few chain links can be all that is needed.